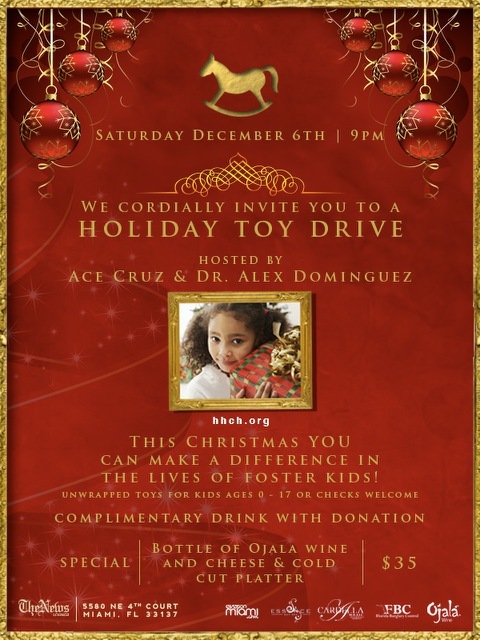 This weekend Ojalá Wines is hosting their Annual Toy Drive at The News Lounge in the MiMO district along with Eyes On Miami, Cardella MD, LLC, Essence Day Spa, and Florida Burglary Control to bring a little bit of joy to some very special children. Guests who attend are invited to bring a new unwrapped toy that will be given out to children between the ages of 0-17 or make monetary donations in the form of a check to be used by His House Children’s Home. Hosted by Ojalá Wines owner Ace Cruz and Dr. Alex Dominguez the one of a kind wine party, promises to be an evening of good times with great company. 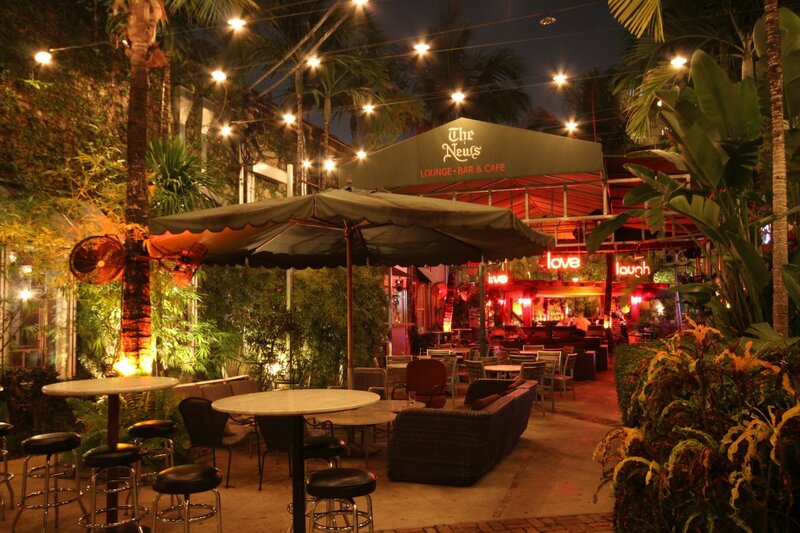 Guests will be able enjoy a bottle of Ojalá Wines selection of Cabernet, Merlot and Chardonnay and pair it with a savory cold cut and cheese platter for just $35 while socializing with friends in the unique courtyard of one of Miami’s favorite hangouts. After the wine party ends, stick around for a night of dancing with open format music by resident DJ Mikey Rawk. Take a break from the Basel craze, head to the News Lounge, enjoy a glass of wine all for a good cause. It all starts at 9pm.